My last blog involved a Timebank member, “Anne,” who went from independent living in her apartment to a residential care facility. When we see a loved one—and all Timebankers are loved ones—being treated unfairly or abused, we are often moved to try to help. The Hero in us comes out. As we tried to help her, bringing her ice cream, taking her shopping, texting her with encouragement and love, as well as witnessing the deplorable conditions at the facility, we also noticed that we were not viewed favorably by the administrator of the facility. In subtle and not so subtle ways, Anne paid for our friendship. We understood why we were all such a threat to the facility. Anne was a rational witness. Most residents are fearful of staff and “telling,” and often told they might “be put on the street.” Anne was telling what she saw and heard; she was not incapacitated, and her own legal guardian. And the timebank was an unknown variable, relentlessly witnessing, such a disruption to business as usual. The solution? Paint us all as irrational troublemakers and make our lives harder. All the daily problems were reported to “Susan,” my go-to person for medical problems. Susan is a retired nurse, who worked as an administrator in long-term care. Through her, Anne and I learned how facilities work, how administrators think, and the problems of corporate interest. We did not know it at the time, but when a resident moves out of a place they are complaining about, the investigation of the facility stops–so the ombudsman declined to continue helping us. Mary was never held accountable for her actions. Nicki, the new case manager, moved very slowly looking for placement and seemed to only want to talk about “coping skills,” so Anne and I went on our own to visit a nearby facility, one only two miles from my home. The administrator was wonderful, so different from our experience, and the facility was clean and filled with sunlight. We set the paperwork in motion ourselves, to Nicki’s consternation. When the day approached to move, Nicki told Anne that she could only transport her and not her belongings or her wheelchair. She would have to arrange that herself. I don’t know what people do who do not have family, friends, or a timebank. I can only guess that they would helplessly lose all of their belongings due to an obscure corporate, state or federal policy—a nameless, faceless, and blameless entity. Of course, we offered to help her move her stuff. My God, did the insanity never end? At the same time, Nicki began to undermine Anne’s social supports. She apparently had been listening to Mary, the administrator, about how “crazy” Anne really was, and how she was under the spell of the timebank “cult.” She questioned our motivations and why we would be so interested in Anne—did we have something to gain? Could she really trust the timebank? I should mention that Anne was Nicki’s first case—she was fresh out of school. Because Nicki’s employer had a relationship with a state agency for community crisis counseling, Nicki also undermined Anne’s counselor, arranged by her doctor (the one who led Anne to the timebank in the first place), because I also recommended her from personal experience, and I couldn’t be trusted. Nicki had the nerve to question her qualifications as a licensed social worker, even though this counselor is highly regarded by peers in her profession, with over thirty years’ experience. The reason? The state agency is much more forthcoming discussing her mental state with Nicki’s employer. Anne’s counselor would not disclose confidential information whatsoever, and this bothered Nicki to no end. Why were we all so stubborn? When the day came for Anne to finally leave the facility, our mechanic (remember the one from my last blog, who helped me bring Anne her power chair?) only had one vehicle that was road-worthy and could hold a lot of cargo: an old, restored limousine. I arrived first in my Ford Focus and went in to help Anne pack. The staff refused to assist her at all. So, I got to witness a sweet moment when our mechanic showed up in his limo to take Anne to her new home. They were all glued to the windows, along with the residents, wondering who Anne’s friends really were! We filled up the limo with all of Anne’s stuff, laughing under our breath at the faces in the windows watching us. Nothing felt so sweet as driving away that day, limo and all, and leaving the bewildered staff behind! A TimeBank can be more then the sum of the individuals because the skills that members bring to the table are numerous and occasionally unusual however when the members work together sometimes the results are almost magical! “Anne” had been so badly treated by the facility because she cared about how the other residents were treated and spoke out. The Administration felt they could intimidate her however the more they tried the more she stood her ground. In the end they were so mean spirited they thought they would leave her with no help. 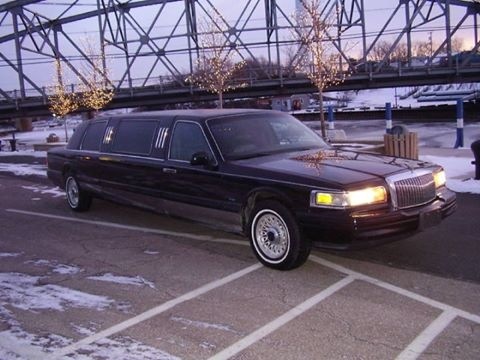 When that Limo pulled up and the Time Bankers moved her with all the dignity and help that someone who had a lot more “power/money” then a resident in a Board and Care facility usually had, “Anne” showed them she was a very special person who could not be pushed around because she was a TimeBanker! Thank you so much for this “Story” because it’s the stories that show how a TimeBank can empower any of us when we have the the members behind us encouraging us in ways that would mean nothing with out the love and reciprocity that is so important to TimeBanking.